Chris and Ryan King welcomed Medina Sunrise Rotary to their spacious 150,000 sq. ft. National Design Mart showroom and headquarters in Medina. The overwhelming support of Medina's builders, commercial companies, and homeowners has meant that an additional 80,000 sq. ft. addition is planned. "We are a family owned and oriented business," said Chris. "Our roots are here in Northeast Ohio, beginning in Wooster in 1998. In fact, we’re not a chain. Our home office isn’t in some faraway city. We don't live in some other state. You can probably find us in the same store where you are shopping … making that daily commitment to our co-workers, customers and community that we learned from our dad." We invite you to come in and see us. We have in-store design experts, available at no extra cost, to help you through the steps of your project, from start to final installation. Enjoy complimentary coffee while your review samples, discuss colors and styles, look at your design plans, talk to a designer or just hang out and take in all the inspiration. And please bring the kids to experience Kids’ Kingdom - a supervised kids’ play area for your kids to relax and have fun while you shop. Experience National Design Mart - "There’s inspiration in every aisle." 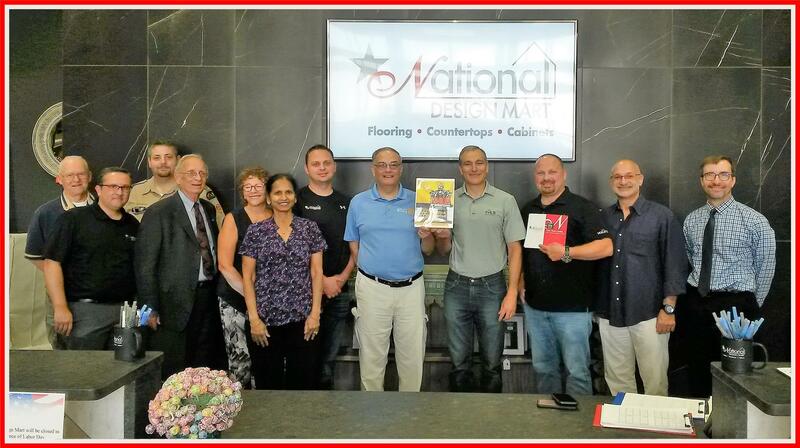 National Design Mart and National Carpet Mill Outlet serve all the communities in Northeast Ohio – including Cleveland, Akron, Medina, Wooster, Canton and all their surrounding towns and cities, and commercial operations in Cincinnati and Columbus.